Disney's Frozen was not only the studio's biggest animated hit, grossing over $1 billion worldwide, but it became a cultural phenomenon as well. The TV special The Story of Frozen: Making a Disney Animated Classic debuted in 2014, a year which also saw the lead characters Anna and Elsa transition into live action in the ABC series Once Upon a Time. Last year, the animated short Frozen Fever debuted attached to Cinderella, and later this year, a Frozen ride will debut at DisneyWorld. While Frozen continues to inundate the cultural landscape, fans are still waiting for the sequel, Frozen 2, which was confirmed last March. During an interview with Collider, star Kristen Bell, who voices Elsa, revealed that the sequel's script is written, and she'll start recording dialogue later this month. Here's what she had to say, when asked if she's started recording yet. "Not yet. We're just about to. They've just written it and they're still doing tweaks, but I think we should be recording this month. The story is great, and they exude quality. What I know about that whole team is that they wouldn't just put something out to put it out. That's why it took them so long to even announce that we were doing a second one. Generally when you have a first successful movie you want to make a second one. It took them a while because they wanted to figure out what story they needed to tell and what would be important and engaging and I think they found it." Primary voice cast members such as Idina Menzel (Elsa), Jonathan Groff (Kristoff) and Josh Gad (Olaf) are expected to return alongside Kristen Bell, although no one has been confirmed quite yet. Directors Jennifer Lee and Chris Buck are set to return, with songwriters Robert Lopez and Kristen Anderson-Lopez expected to provide new music. When asked if she has started working on the new songs yet, Kristen Bell had this to say. "No, not yet. We record all the time for different parks or different parks that open overseas, we'll do a mashup for the rides. So we actually get to go in - Josh [Gad] and Idina [Menzel], Jonathan [Groff] and I - all the time and record new bits of the music. When Epcot Center opens we'll record a bunch of new music. So we have little bits of Frozen in our life at all times, but I'm excited to get started on the new movie." Director Chris Buck revealed in August that the sequel will continue to showcase Elsa as a much happier person, which we saw in the animated short Frozen Fever. The original Frozen followed Anna (Kristen Bell), who sets off on a journey to find her sister Elsa (Kristen Bell), whose frigid powers have brought an eternal winter to their homeland of Arendelle. Anna is joined on her journey by Kristoff (Jonathan Groff) and the snowman Olaf (Josh Gad). Disney hasn't issued a release date for the sequel yet, but we'll be sure to keep you posted with more Frozen 2 updates as we get closer to production starting. 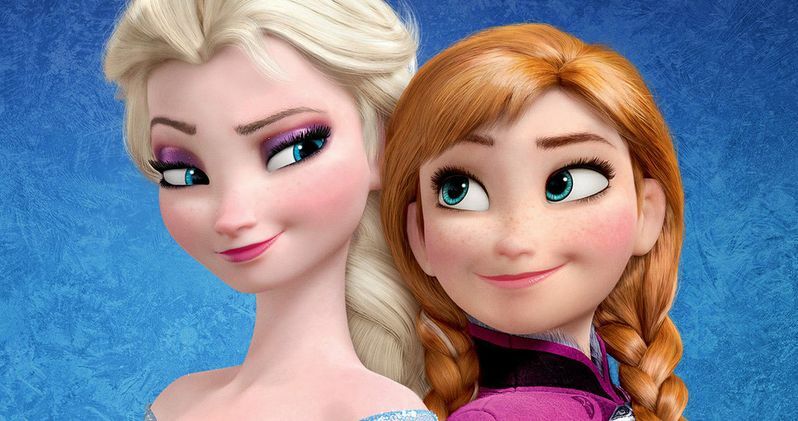 What do you want to see happen with Anna, Elsa, Kristoff and Olaf in Frozen 2?